Why Arts in Education ? Classical ballet, an art form that stretches its roots back to the royal courts of 15th century Europe, has continued to develop over the centuries and across continents. Today, it is a highly competitive, technically sophisticated and sought after form of dance that bedazzles both adults and children alike. Beyond being a vehicle that transports audiences into innumerable stories, characters and themes through performances, classical ballet also serves as a tool with a strong educational and developmental purpose. Dance, together with the other art forms in education, has long been seen as an integral part of the development of children. Not only does it serve as a way for students to gain physical benefits such as body control, muscle strength, coordination, and improved posture, but it also teaches them the arts of commitment and persistence. 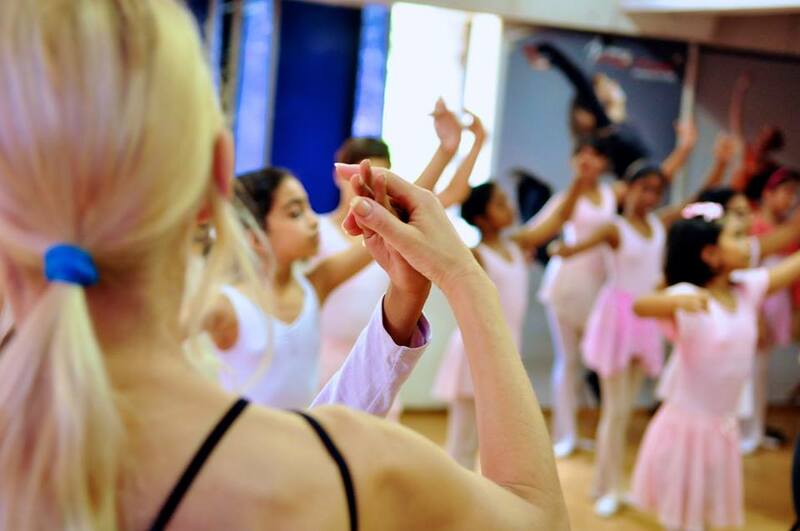 Classical ballet requires an enormous amount of discipline in order to master the more advanced technical feats, and this sense of discipline becomes natural through the classes from a young age when the students are taught the technique through games and stories. These character traits, developed and honed from an early age, become useful not only for the aspiring professional dancer, but for all students living and developing the the fast-paced, ever-changing world that they find themselves in. In addition the positive physical and disciplinary traits that the study of classical ballet encourages, an increase in self-esteem is another addition to the list of benefits for students practicing the art form. The sense of achievement when technique is understood and correctly executed, the joy of rehearsing choreography, and the elation of live performances all supply students with a sense of self-worth and importance, and aids them in their journey to find and mold their own character and personality. This is especially true for younger students, where the increase in pressure and demand on technique is not yet as visible. As with all art forms, classical ballet becomes selective as students advance – it is those who have the passion, discipline and will to go beyond their limitations who will continue to develop into the advanced stages in the art form. However, at a young age where students are still willing to learn and enjoy dancing for what it is, without the outside pressures of perfection, classical ballet is a wonderful means to give students the joy of dance together with the developmental and educational tools that the arts can provide.